There are no joining or annual fees for partaking in our Affiliate Program. Commission is only earned for referrals that result in actual new sales of our MIDAS room booking and scheduling software, and only then if the purchaser arrived at our site through one of your affiliate links within the past 60 days. This is a CPA (Cost Per Action) program, not a CPC (Cost Per Click) program. No commission is earned from referrals/clicks that do not lead to an actual sale within 60 days. Commission Payments for non-MIDAS customers will only be made through PayPal in your chosen currency (Available currencies are USD, CAD, AUD, GBP, and EUR). No other payment methods are available to non-MIDAS customers at this time. Existing MIDAS customers can choose to either take their commission payments through PayPal in their chosen currency, or as "Account Credit". "Account Credit" can be used against the cost of the customer's next Annual Support or Annual Hosting + Support subscription renewal cost, or against license upgrades or optional addons. Commission Payments will be made within 30 days after each completed sale that resulted from one of your referrals. Should a customer who purchases MIDAS via one of your referrals, request and be granted a refund in accordance with our Refund Policy, then no commission will be payable. Tracking Cookies are used to register a referral visit to our site through your affiliate links. It may not always be possible to track your referrals, and subsequently earn you a commission for reasons including, but not limited to, A) the visitor you refer has cookies disabled in their browser, B) the visitor clicks one of your affiliate links whilst using one computer and/or web browser, but goes on to make a purchase using a different computer and/or web browser, C) the user deletes their browser cookies between clicking your affiliate link and going on to make a purchase through our secure site. Tracking Cookies will only persist in the visitor's web browser for a period of 60 days. Any visitor who clicks on one of your referral links must go on to purchase a MIDAS web based room booking and scheduling system within this 60 day period for you to be eligible to receive a commission. Any purchase made after this 60 day period will not be eligible for commission. Tracking Cookies will not persist in the visitor's web browser if they are running a Private/Incognito browser session and don't purchase within the same browser session. 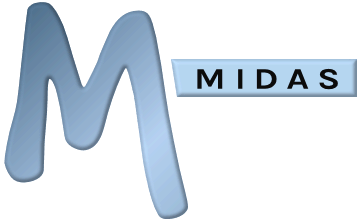 Commission is only payable on new purchases of self-hosted or cloud-hosted editions of MIDAS. Annual Hosting/Support Subscription renewals, optional "addons" or license upgrades purchased at a later date will not be eligible for commission. The initial Commission Rate tier is 5% of the total cost of the initial purchase of MIDAS a visitor makes, who was referred to our site through one of your affiliate links, and goes on to purchase within 60 days of being referred. The more successful referrals you produce, the higher the Commission tier you'll earn from. You will not be eligible to earn commission if we have reason to believe that you (or your organization) are purchasing the software for your own use via your own referral link. We reserve the right to suspend or terminate your affiliate account with no further commission payouts, if we have reason to suspect that your account has or is being abused or used maliciously to direct visitors to our site, or that you are in breach of these Terms & Conditions. You may cancel and close your affiliate account at any time. Once cancelled, your affiliate links will no longer be eligible for earning commission, and you will receive no further commission payments. We reserve the right to amend the Terms & Conditions of our Affiliate program at any time without prior notification. We reserve the right to withdraw our Affiliate program at any time without prior notification. By joining and participating in our Affiliate Program, you fully accept these Terms & Conditions.